This kit provides all you need for introductory hands-on video game development. Using the Bloxel platform, build your video games with a mix of physical and digital tools that include designs to help get you started creating your first game. Create game rooms, characters and game art using the 13" x 13" Gameboard and building blocks in eight different colors. When creating game rooms, each color in your design represents a different element, like green for terrain, blue for water or red for a hazard. When working on art, the color blocks represent the pixel artThe Bloxels Builder app is free to download to your compatible device; you may use learner smart phones, your iPads, or you may request iPads from us. To get a better understanding of the suggested activities to be done with this kit, click the view additional image link to the left. 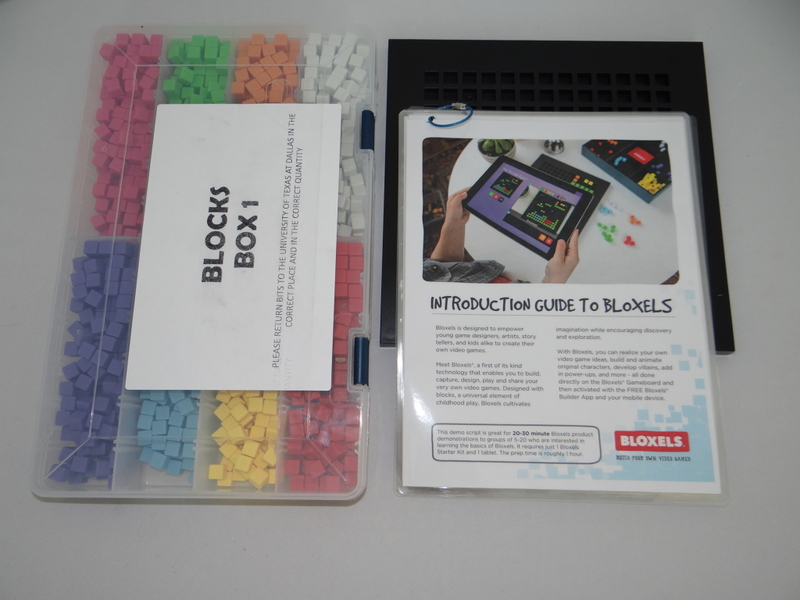 In this kit: 10 Bloxel gameboards and a set of 8 differently colored blocks, each with different functions (3200 blocks total provided). For a complete list of the materials provided in this kit, please click the view additional file link to the left.